Get all the updates on Charleston Race Week right here from our Best Around the Buoys Blog. Senior Editor Adam Cort reports straight from the course in Charleston with the latest news and updates on Best Around the Buoys contest winners, Team Warrior. BAB Team Wins PHRF G Section! A gray, wet Day 3 for the Sperry-Topsider Charleston Race Week fleet, but a good one for Team Warrior aboard the Beneteau Oceanis 37 Beneround. Although the boat has struggled a bit in lighter air, like that which marked the final day of the regatta, Grant Dumas and crew battled through to a third and a first, securing the overall win in the PHRF G section. In second place overall was Kenneth King’s Sabre 38 Quintette. Third place overall went to Paul Jacques’ S2 9.1 Old School. Congratulations to Dumas and the entire St. Petersburg, Florida, based crew of Team Warrior! For complete results, click here. We had a chance to catch up with crewmembers Bobby Nobles, Phil Smithies, John Jennings, Danette Szakaly and Joe Frohock on Day 2 of Sperry-Topsider Charleston Race Week. Team Warrior is continuing its winning ways on the second day of Sperry-Topsider Charleston Race Week. After five races, their Beneteau Oceanis 37 Beneround remains in first place, although the crew’s perfect record ended in the last race when the team took third. 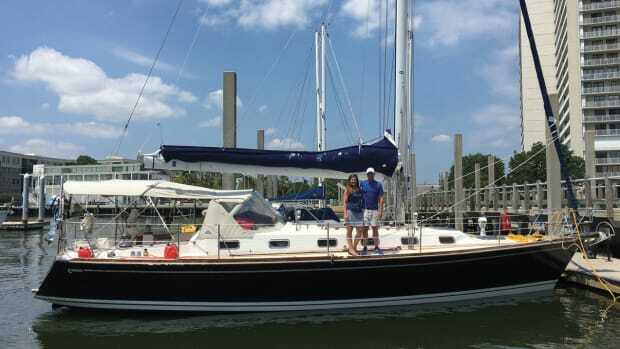 Winning that race was Dave and Christie Kowert’s Beneteau 35s5 Andiamo. Taking second was Kenneth King’s Sabre 38 Quintette. The overall standings in PHRF G are now Beneround in first and Quintette in second, with Paul Jacque’s Charleston-based S2 9.1 Old School in third. Conditions today were lighter than in Day 1, with winds out of the southeast under a broken overcast. For complete, up-to-date results, click here. Not only is Charleston Race Week continuing to grow, but the offshore contingent is becoming a true force to be reckoned with. Three for Three on Day 1! A hat trick on Day 1 of Sperry-Topsider Charleston Race Week for the crew of the Beneteau Oceanis 37 Beneround! Better than forecast conditions, with winds in the low teens from the north-northeast, allowed the race committee to get in three solid races. And skipper Grant Dumas and crew Phil Smithies, Danette Szakaly, Joe Frohock , John Jennings, Bobby Nobles and Perry Lewis made the most of the opportunity, winning every one of them. 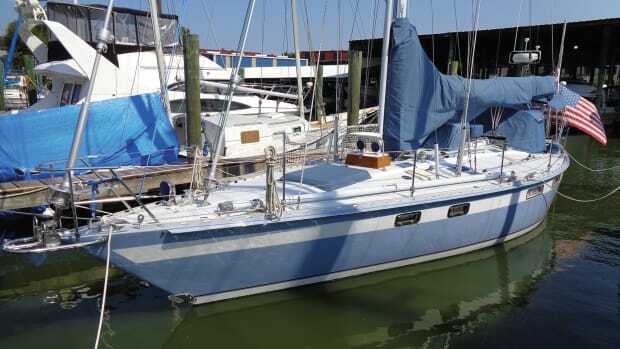 Coming in second in PHRF G was Kenneth King’s Charleston-based Sabre 38 Quintette, followed in third place by another local entry, Steve Lesniak’s Celadon. For complete results thus far in the regatta, click here. From left to right: Joe Frohock, Danette Szakaly, John Jennings, Phil Smithies, Bobby Nobles; Grant Dumas, in front on one knee. Team Warrior skipper Grant Dumas has been in Charleston a couple of days already getting to know the new Beneteau Oceanis 37 in anticipation of this week’s regatta. Sailing with Dumas are fellow Floridians Phil Smithies, Danette Szakaly, Joe Frohock, John Jennings and Bobby Nobles, and Perry Lewis from North Sails is helping them fine tune their brand-new canvas. Randy Draftz, director of Sperry-Topsider Charleston Race Week talks about his upcoming regatta on registration day. For more, including a complete list of entries, click here. Adam Cort checks in on registration day at Sperry Top-Sider Charleston Race Week.  SAIL magazine recently caught up with Sperry Top-Sider Charleston Race Week director Randy Draftz to get some idea as to why the event, which expects to host more than 250 boats in 2012, has taken off so dramatically in recent years. SAIL: What is Charleston like as a racing venue? How does it meet the needs of this particular regatta? RD: In April Charleston is already starting to warm up. This warmth generates a great sea breeze, so we usually have plenty of breeze to provide plenty of exiting off-wind sailing. There is current on the in-shore courses that makes things interesting. Then we go offshore for the bigger boats with plenty of room for longer courses and bigger waves. 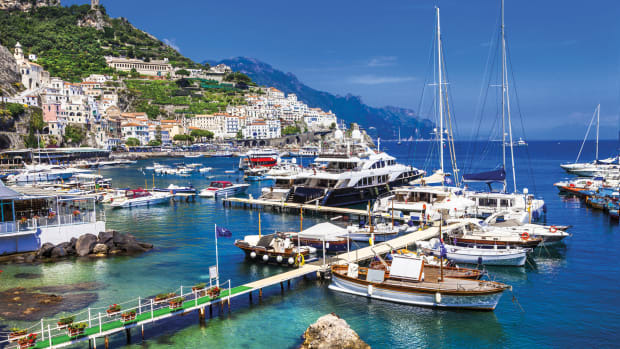 Its one of the best sailing venues in the United States. 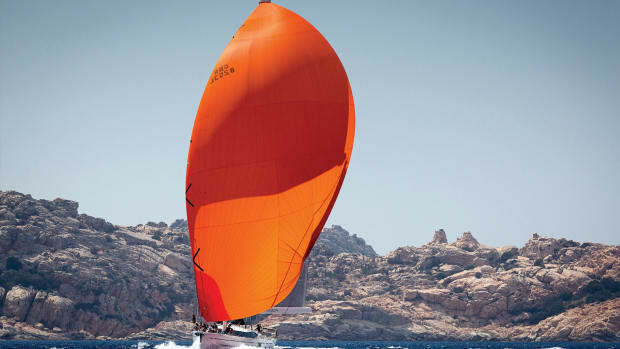 SAIL: What do you think is the reason for the regatta’s rapid growth and strong following? What makes it different from other regattas? SAIL: What kinds of boats typically show up for the event? RD: We always have large contingent of smaller sport boats due to the inshore courses, M24, Vipers, J/80s, J/22s, J/24, M20s and Ultimate 20 on three separate circles. Last year we added the third circle to accommodate the growth of these classes. Last year and now this year we are also seeing increase in the offshore component of IRC, PHRF and one-design. SAIL: Is there anything new on tap for this year’s regatta? RD: We have added a cruiser-racer component that will allow a class of boats to race one long pursuit race each day. 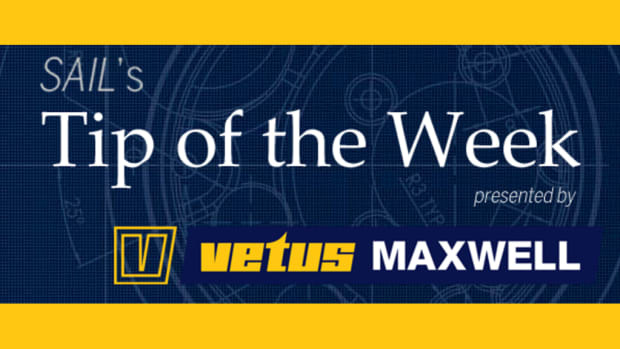 J/Boats has created a WinterFest regatta series that will end at race week this year. We are also looking at hosting a pre-event race management seminar this year. We have such great race officials it would be great time to have panel seminar and have people take some great race committee tips back home. The other big change is the focus of the event is giving back to the sport that created it. Any profits of the event will go back into the community sailing programs, and the yacht clubs that help support the event. It’s race week time in Charleston, South Carolina, and this year’s 16th-annual Sperry Top-Sider Charleston Race Week promises to be bigger and better than ever. For six straight years, the regatta has been growing by leaps and bounds, a trend that is continuing in 2012 with more than 250 boats expected, beating out last year’s record fleet of 234. “Sperry Top-Sider Charleston Race Week has become a bucket-list event for racers across the country, and we all know how popular Charleston is,” said Charleston-area sailor Brian Swan, who is in charge of logistics for the event. According to Swan, the regatta has added two new launching and hauling sites on Charleston Harbor to handle the influx of new boats. 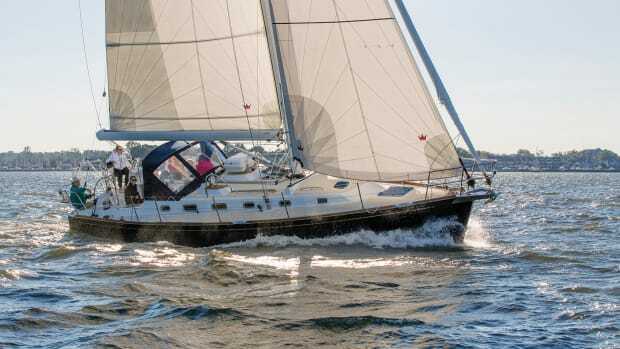 These include a number of larger offshore boat, among them Austin Fragomen’s brand new TP 52 Interlodge, complementing the trailerable one-design sailboats such as the Melges 24 and the Viper 640, which have long been a hallmark of the event. SAIL magazine and a panel of industry partners have selected the crew of the Tripp 38 Warrior as the winners of SAIL&apos;s Best Around the Buoys Contest at Sperry Top-Sider Charleston Race Week (CRW). As winners, skipper Grant Dumas and his Florida-based crew will receive free entry at CRW 2012 along with housing and dockage; sailing gear from Gill North America; a copy of the Racing Rules of Sailing from US Sailing; and use of the brand-new Beneteau Oceanis 37 BeneRound, commissioned by OnDeck Sailing, complete with a new bottom paint from Pettit Paint, B&G hardware and new canvas from North Sails. Dumas, who is a member of the St. Petersburg Yacht Club, and crew won out over a field of around 50 teams from throughout North America and the Caribbean in recognition of their strong inshore PHRF results in 2011. These included a first-place finish in the St. Petersburg YC Fall Bay Race, first place at the 2011 Suncoast Race Week series, and second at the CYC Clearwater Challenge regatta. Already in 2012, Warrior has scored a first at the Davis Island Yacht Club Egmont Key Regatta and the St. Petersburg NOOD, and Dumas said he and his crew are ready to compete up in South Carolina as well. According to Dumas, this will be his first experience at Sperry Top-Sider Charleston Race Week, and he’s looking forward to seeing what it’s like firsthand. “Charleston Race Week reminds me of the ’70s and ’80s. It seems like a great event, a throwback to the events of yesteryear with their big fleets and great shoreside parties,” he said. Dumas is originally from the Upper Midwest and grew up sailing on western Lake Erie, where he did foredeck duty racing MORC with his father in events like the Bayweek Regatta at Put-in-Bay. 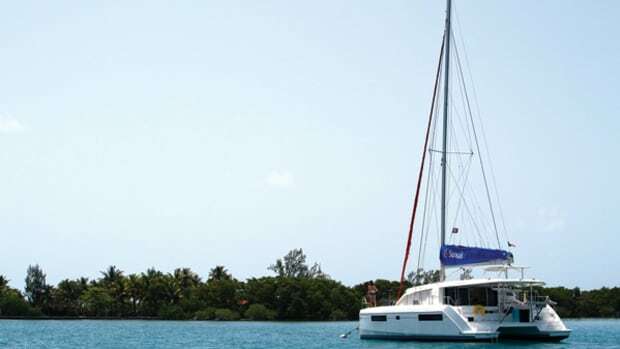 About 15 years ago, Dumas purchased a used Ranger 33 and “grabbed a bunch of guys from the office and taught them how to sail.” More recently Dumas bought Warrior to take his sailing up a level. Dumas said the more complicated Tripp provided a steep learning curve, but over the years he and the rest of the crew have both improved their own skills and brought in some additional hands to build a winning team capable of handling a wide range of sailing conditions. Now in its second year, SAIL’s Best Around the Buoys program is a grass-roots initiative designed to reward sailors for their team’s performance in local PHRF competition by giving them a chance at a top-flight event like Sperry Top-Sider Charleston Race Week. The regatta takes place April 19-22, with around 275 boats expected to take part on three inshore and two offshore courses. For more on the event, visit www.charlestonraceweek.com.